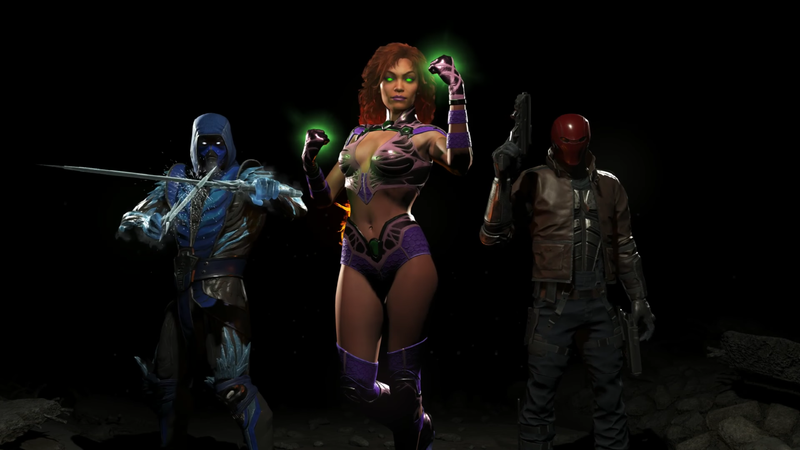 Starfire and two others are the first three DLC characters for Injustice 2. Starfire and two others are the first three DLC characters for Injustice 2. The exiled Tamaran princess, Sub-Zero and the Red Hood, collectively known as Fighter Pack 1, will be available some time after the game launches, free for Digital Deluxe and Ultimate edition owners.